After our successful seminars in Johannesburg in 2017 and Cape town in 2016 we held our third Flexofit South Africa Seminar on October 24th in Durban. The regional expert audience met at the Indian ocean to enjoy a multifaceted program on the latest technological developments in the printing industry. 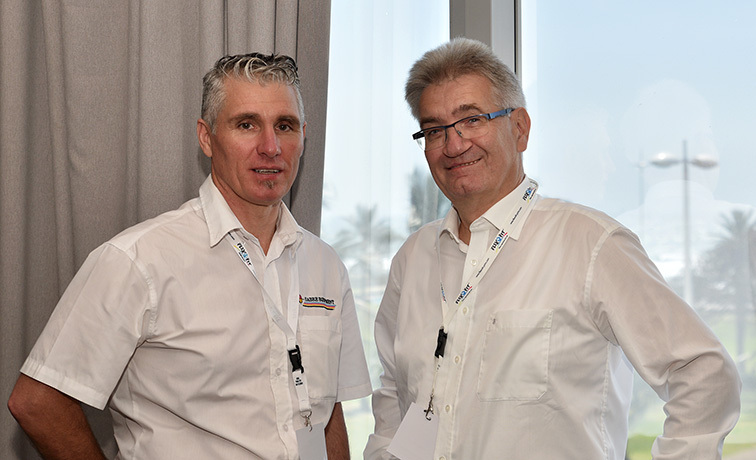 Esko’s Flexo Specialist Marc de Mey and Johan Bastiaen, Sales Manager MEA started the day-long seminar by introducing their latest „Esko Crystal Technology” to the South African market. Renzmann’s Area sales director Europe, Asia, Africa, the engineer Alfred Porr showcased their cleaning and recovery systems. He subsequently announced Renzmann’s cooperation with south African distributor Sabre Equipment. Later in the day Steve Thobela from Printing SA, Roman Jaroszewski from Mitsui Chemicals, Karabo Kekana from Chemfit and Stuart Baylis from Polyflex covered topics such as Packaging and Artwork. Steve Gordon from Kemtek presented the Flint Group and their printing plates technology to the sympathetic audience. The specialist advice from the international speakers was received with great interest. The table top exposition and the networking around the seminar was perceived to be fruitful and generating mutual benefits. The last Flexofit Seminar in 2018 will take place in Casablanca, Morocco on December 5th. For 2019 seminars are planned for both Asia and Africa. Print Week MEA, ME Printer, Flexo & Gravure Global, Packaging Newsletter and Flexoglobal also reported on the Flexofit Durban Seminar online. Also see the upcoming print issues of Flexo and Gravure Global, the Gapp Magazine and Packaging and Print Media. Follow us and stay in touch!